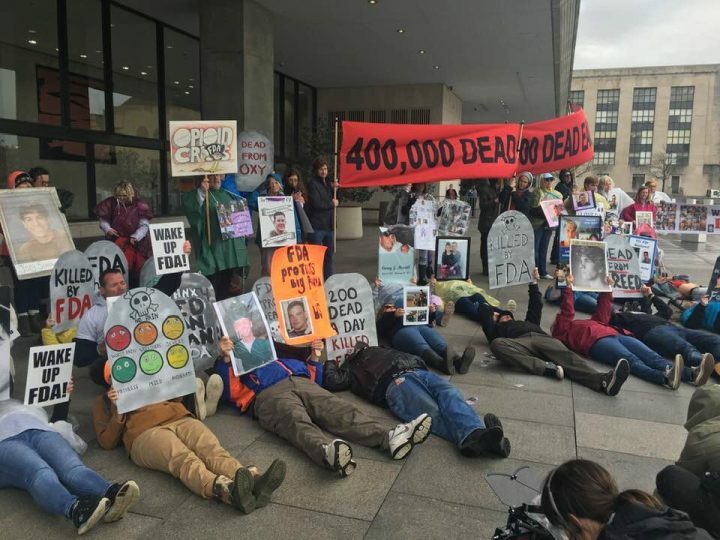 On the morning of Friday, April 5, a group of passionate drug policy advocates, artists, and emboldened supporters gathered in front of the Department of Health and Human Services (HHS) in Washington, DC for a die-in and guerrilla art installation. 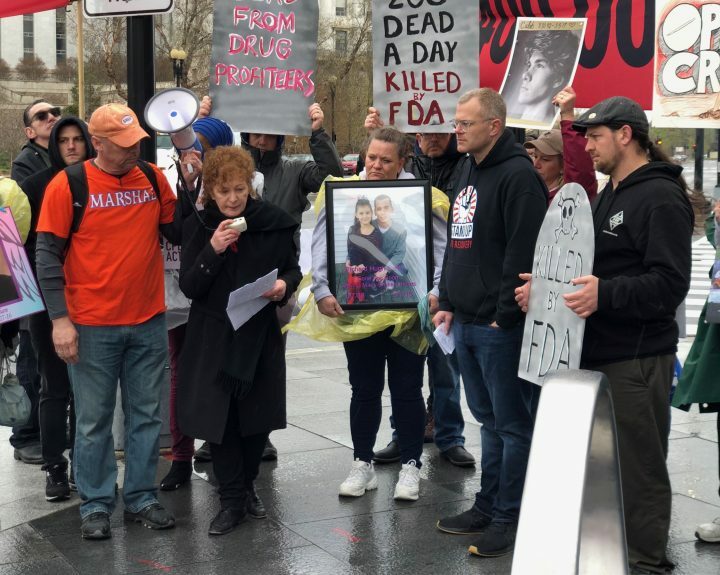 The organizers of the demonstration were from drug advocacy organizations including Recovery Reform NOW, PAIN Sackler, Team Sharing, and the Opioid Spoon Project. 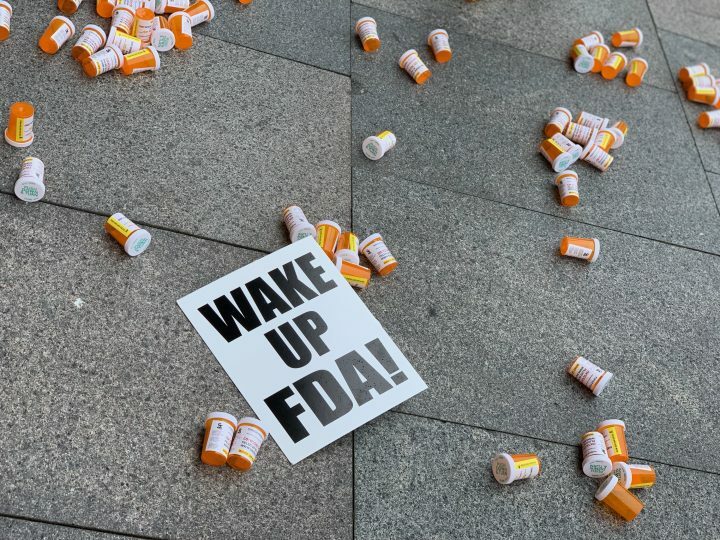 Near the entryway of the building, they planted a massive opioid spoon sculpture, the brainchild of artist-activist Domenic Esposito, branded with the logo of the Food and Drug Administration. Esposito and the non-profit Opioid Spoon Project have dropped multiple iterations of these 10.5-feet long, 800-pound heavy “Opioid Spoon Deployments” at various locations including Purdue Pharma and Rhodes Pharma, drug manufacturing companies owned by the art philanthropist Sackler family. 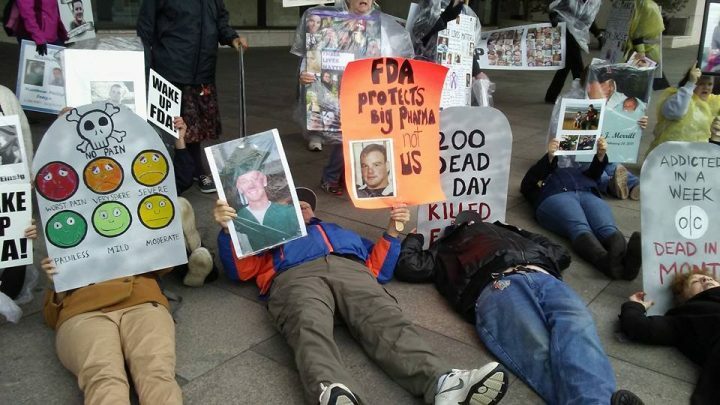 In recent months, PAIN Sackler’s impact on the art world has been enormous. 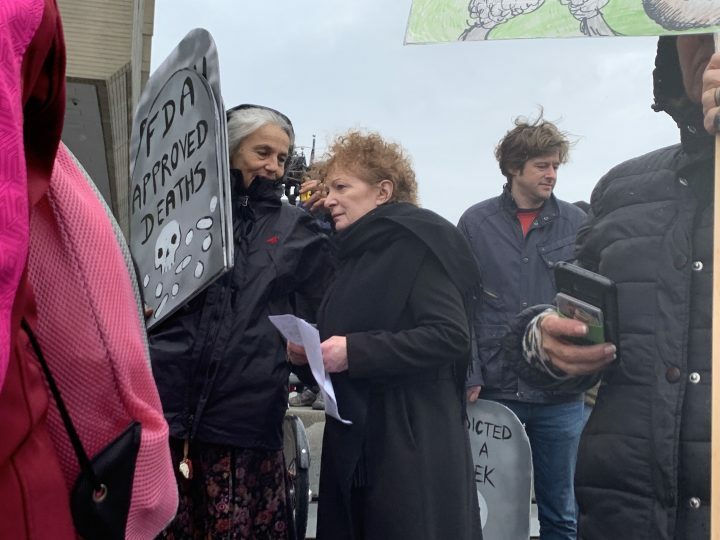 In February, Goldin declared that she would boycott the National Portrait Gallery in the UK if they chose to accept a £1 million (~$1.3 million) donation from the Sacklers. In March, the institution chose to decline the funding, and Tate announced its museums would no longer accept Sackler funding. 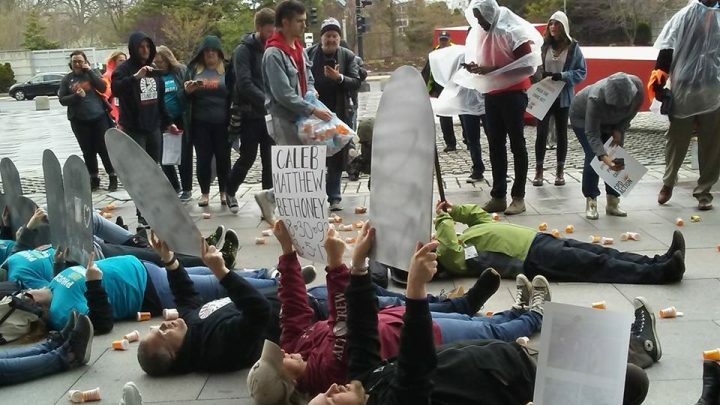 Shortly after, in the wake of a PAIN protest at the Solomon R. Guggenheim Museum and Metropolitan Museum of Art, Guggenheim announced it would no longer accept funding from the Sacklers.